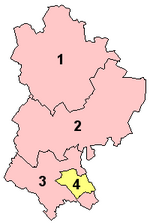 Bedfordshire is a county in England. Its county town is Bedford. 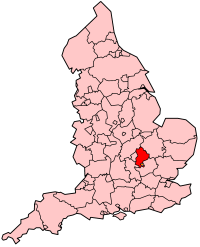 It borders Cambridgeshire, Northamptonshire, Buckinghamshire (with the Borough of Milton Keynes), and Hertfordshire. 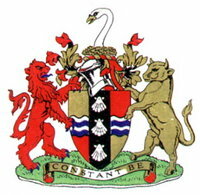 Luton was part of Bedfordshire until 1997, when it was made a unitary authority. However, it remains part of the ceremonial county of Bedfordshire, with a single Lord Lieutenant representing the sovereign throughout this entire area. Except where otherwise indicated, this article relates to the whole Ceremonial County of Bedfordshire, including Luton. To these were added in 1959 the M1 motorway London to Yorkshire motorway. This has three junctions around Luton, and one serving Bedford and Milton Keynes. The River Great Ouse links Bedfordshire to the Fenland waterways. As of 2004 there are plans to construct a canal linking the Great Ouse at Bedford to the Grand Union Canal at Milton Keynes, 23 km distant.